Perfect for a busy man, who is often on the move, Travel jeans are made in soft fabric, and are comfortable however you move. The two secret pockets, front and back, mean documents and credit cards can be kept hidden. The Mix-It line was created to satisfy your need for comfort but with a style that is always impeccable. The comfort stretch fabric, in warm and resistant cotton, is embellished with taping accents, bringing refinement and originality to your look. 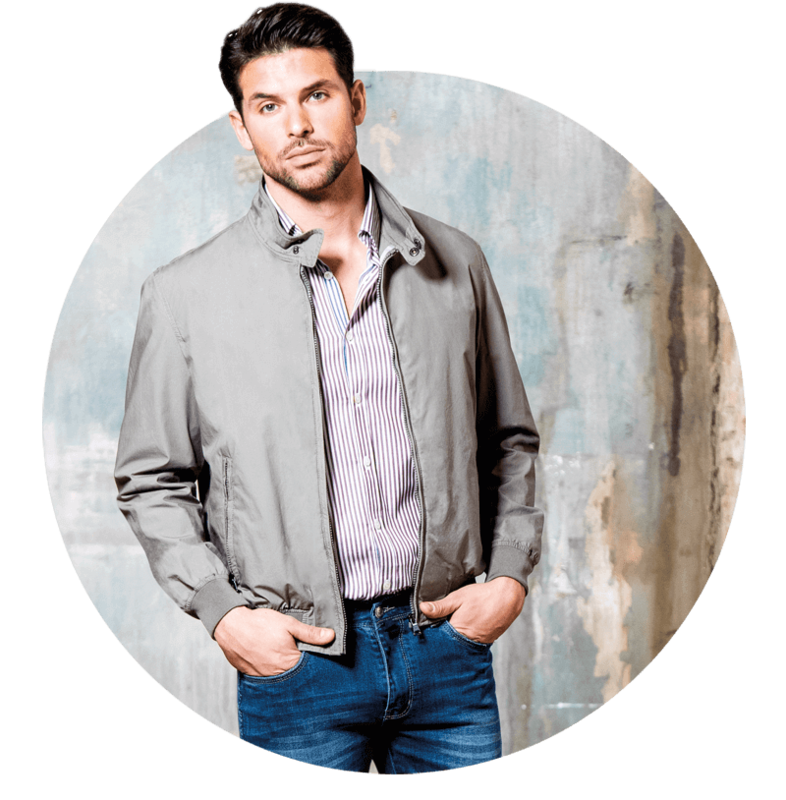 High-quality jackets made in cotton 100%; For comfort and elegance on every occasion. Urban style, natural life! From technical wear to fashion, stretch fabric has taken the centre stage in fashion over the past few seasons. 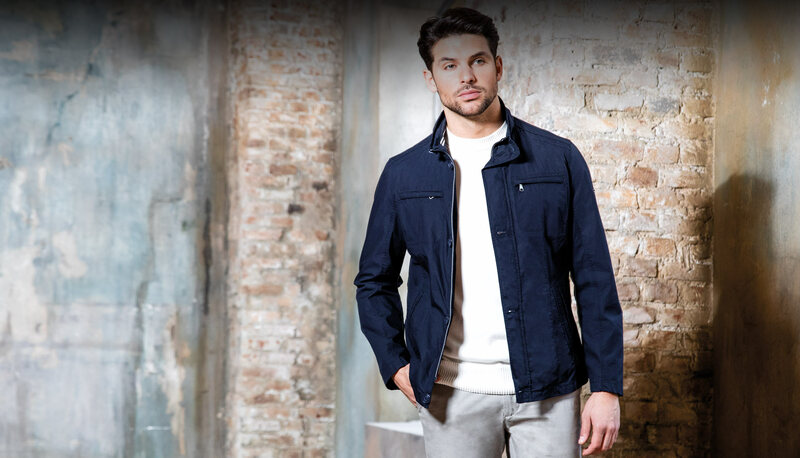 With the new jackets you will always boast the right look. 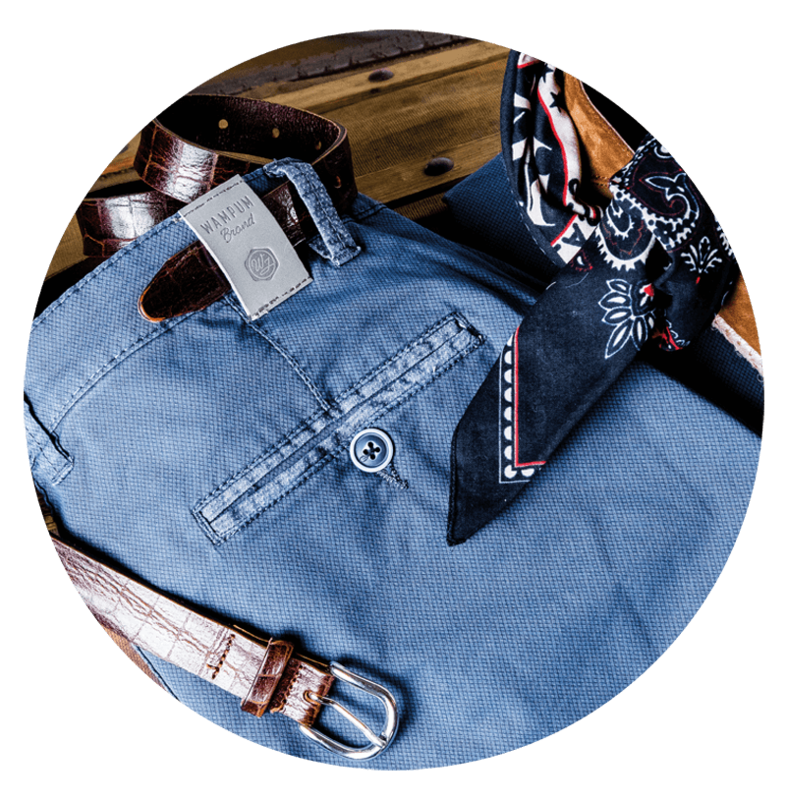 From the word go, WAMPUM has always been a byword for jeans. And now it is also a total look for all situations. Orginal, Sportwear or Denim: choose the right look, find your style, wear the range that suits you best. IF YOUR DRESS CODE IS JEANS, IF CLOTHES ARE NOT JUST THINGS TO WEAR, BUT ALSO A WAY OF BEING, DENIM IS THE RANGE FOR YOU. There isn’t much to say: Denim is a lifestyle, a way of being; it is daily life. The Denim range is just this: an urban, bikers’, rock outfit, designed for people who like to feel they are wearing their experience. CASUAL BUT NEVER RANDOM. A SIMPLE STYLE FOR ELEGANCE IN ALL OCCASIONS. The Wampum Original range is the perfect choice for a classic and timeless casual look. Each piece was designed to be a second skin for decisive, active and practical men. A line with no fuss, the Original range is clean everyday elegance. WHEN YOU ARE TRULY YOURSELF, FAR FROM OBLIGATIONS AND LABELS THERE IS ONLY ONE LOOK: SPORTSWEAR. Wampum has always dressed active men who don’t have time for the superfluous; it is for them that it created the Sportswear range. 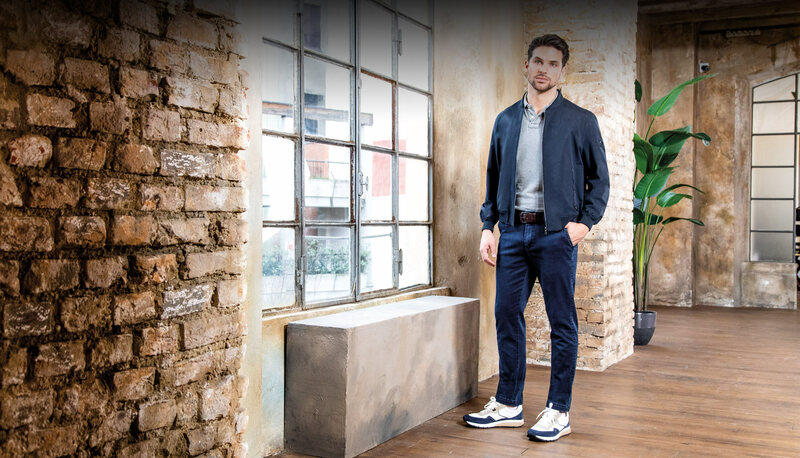 Dedicated to those who want to be comfortable, smart and versatile, all Sportswear clothing is practical and functional, in line with your way of being. Eclectic and always aware of change, the Wampum brand is the story of over 50 years in fashion, creating essential and useful outfits. Linked to denim from the start, Wampum is still one of most important brands in Italian quality manufacturing. Quality has always been our trademark. Wampum is a certified brand with a tradition of 100% Original Italian Quality.